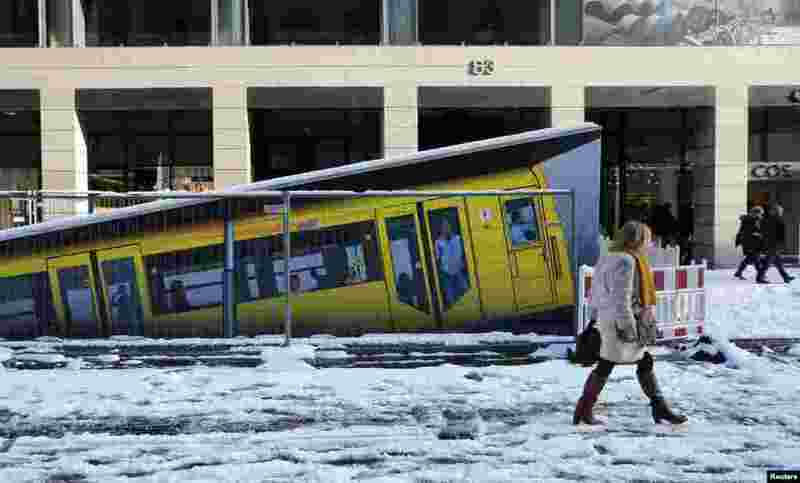 ١ People walk beside a painted U-Bahn underground train marking an entrance of the new Unter den Linden underground station currently under construction in Berlin, Germany. 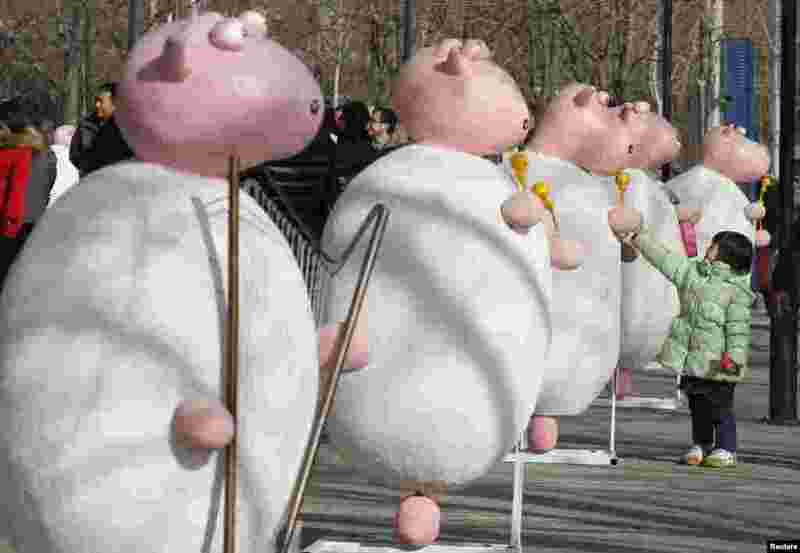 ٢ A girl interacts with installations of resembling sheep put up as part of celebrations leading to the New Year in Beijing, China. 2015 is the Year of the Sheep, according to the Chinese calendar. ٣ Prime Minister David Cameron reacts as he competes in the Great Brook Run, a mile-long course through water and mud, at Chadlington in southern England. 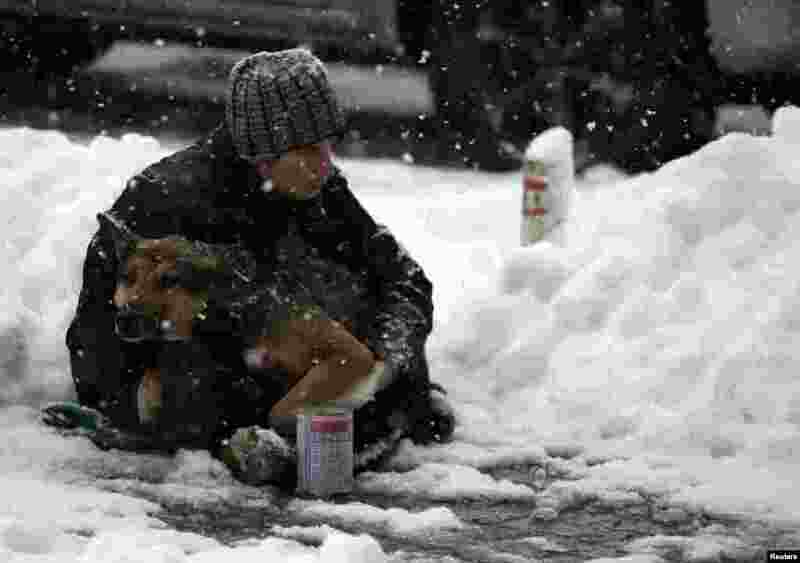 ٤ A man holds his dog as he begs on a street during a snowfall in Bucharest, Romania.